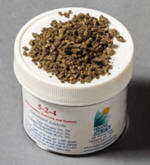 Organic Approach’s 5-2-4 is a certifiable organic fertilizer designed with the diversity of 13 different ingredients. These ingredients were chosen for their value as biological feed substrates for soil micro-organisms as well as plants, trees and turf. As with most of other Organic Approach products, all of the 13 ingredients found in the 5-2-4 blend are homogenously blended, pelleted, and then crumbled to create a consistent prill (pellet). 5-2-4 is a low dust, spreadable product. It will work in all walk-behind spreaders, ride-on spreaders, and vicon-style farm spreaders. With 4.3 of the 5% nitrogen being water in-soluble nitrogen burning anything is nearly impossible, yet the 5-2-4 acts equivalently to a 10-10-10 with the nicely sustained greening and nourishment but with a well balanced organic soil amendment uncommon to virtually any other fertilizer on the market, synthetic or organic. The 5-2-4 contains high value soluble humate, soluble seaweed extract and natural volcanic mineral deposit help re-mineralizing the soil. This makes the 5-2-4 blend truly unique - there is not a comparable product on the market, yet it is competitively priced with a lower cost than lesser quality products. 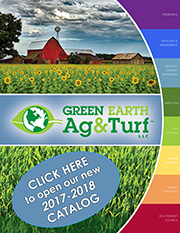 All Organic Approach fertilizers are manure-free and have no offensive odors. Organic Approach fertilizers are organic, effective, safe and environmentally-friendly. They stimulate soil biology and ensure continuous growth with less nutrient leaching. Feather Meal, Soybean Meal, Cottonseed Meal, Alfalfa Meal, Meat & Bone Meal, Blood Meal, Corn Solubles, Wheat Meal and Vegetative Ash.